Allergy Associates of La Crosse is pleased to welcome a new physician assistant to its Onalaska allergy clinic. Elizabeth Twite, PA-C, has joined Allergy Associates of La Crosse to support medical staff as they provide allergy treatment for pediatric and adult patients. Elizabeth earned her Masters of Physician Assistant Studies from Stony Brook University in New York. She is board certified by the National Commission on Certification of Physician Assistants. Additionally, Elizabeth is a member of the American Academy of Physician Assistants, and the Alpha Eta National Honor Society. 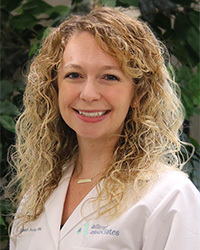 In previous medical experience, Elizabeth worked at Winthrop University Hospital in Mineola, New York, and at Stony Brook University Hospital in Stony Brook, New York. Elizabeth represented her Stony Brook Physician Assistant Program during a Fellowship to Guatemala, and volunteered in several health literacy initiatives in the Long Island, New York, area. For more information, contact the clinic at 608.782.2027.